Parts, Sales, and Service for the finest fishing equipment available. 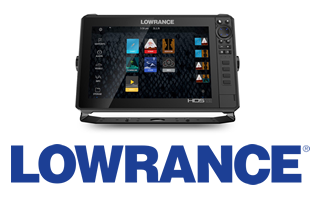 We carry: Lowrance, Motorguide, Minn Kota, Humminbird, Garmin, NuCanoe, Pro Control, Marine Batteries, Navionics, Ram Mounts and Rite-Hite. Rig your boat with an HDS LIVE 12 and get access to the top fishfinding innovations with support for Active Imaging™, LiveSight™ real-time sonar, StructureScan® 3D with Active Imaging and Genesis Live onscreen mapping, plus the capability to view data in a six-panel splitscreen. 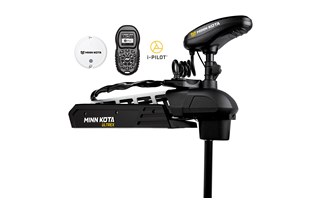 The Humminbird family, offers Software Updates for their 300 Series up to ION Series product owners. 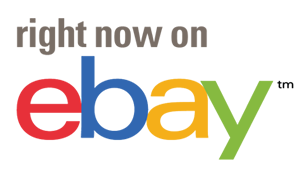 These updates are free of charge and can be accessed from their MyHumminbird section. 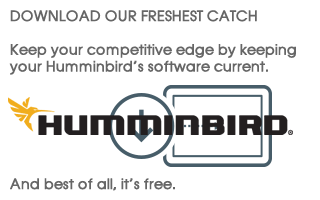 The typical Humminbird product has updates available a couple of times per year. Step on the Ultrex™ foot pedal and feel what Power Steering does to a trolling motor. Then tap the Spot-Lock button to stay on a fishing spot automatically. Only Ultrex combines the most responsive, intuitive steering ever with GPS-powered automatic boat control. Garmin – Panoptix LiveScope – The most amazing sonar technology ever.